This month, Pine Street Carpenters earned placement in Remodeling Magazine’s annual list of the top remodeling companies in the country. 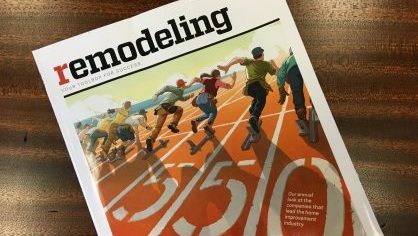 Remodeling Magazine published its annual rankings in its May issue, with Pine Street Carpenters placing #28 in the magazine’s “Remodeling 550,” marking the ninth straight year Pine Street has made the listing of the nation’s top home improvement companies. Pine Street moved up one spot from its 2016 ranking.